Last Summer we netflixed a movie called Flakes. It was the story of a local cereal bar being threatened by a big, mean corporate cereal bar. Yes, cereal- like Cocoa Puffs. It was mildly entertaining, but the concept of a cereal bar was the most memorable part. Well, that and Zooey Deschanel. 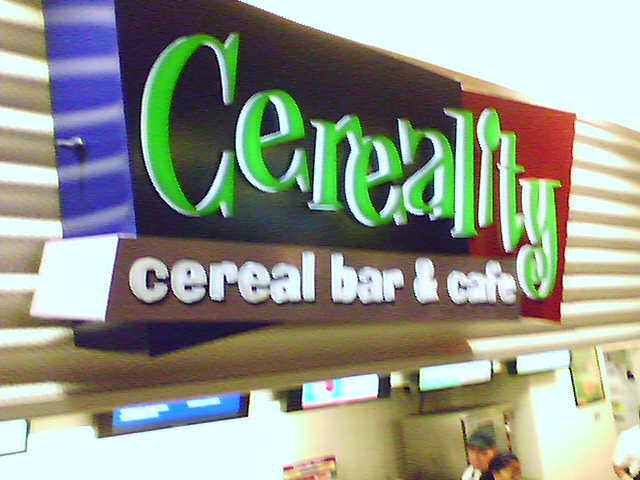 Turns out Cereality is a franchise based in Scottsdale, Arizona. The wacky idea is apparently not so wacky after all. Once again, life imitates art.